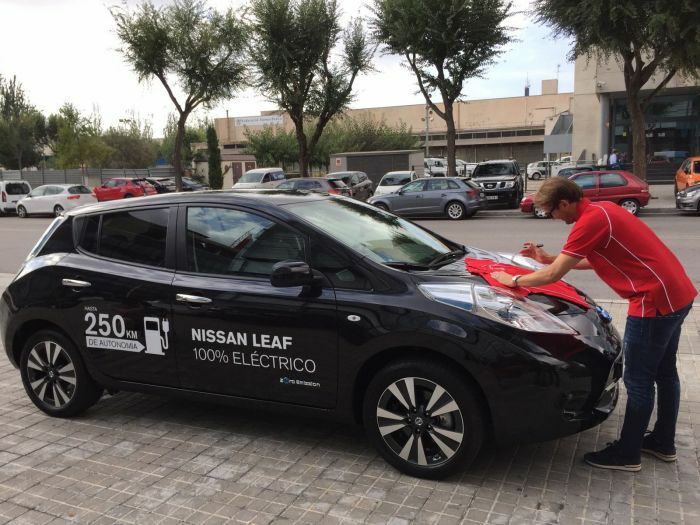 Gaizka Mendieta took to the streets of Barcelona in a Nissan Leaf electric car on Wednesday ahead of Barcelona’s UEFA Champions League showdown with Manchester City. The former Barca man hit many of the city’s famous landmarks during his tour alongside Goal’s Barcelona correspondent Ignasi Oliva, giving his views on what was the pick of the Champions League group stage as Pep Guardiola returned to his old home. Fans around the city had been hoping to track him down with supporters who recognised him in the city standing to win some great prizes, courtesy of Nissan, including tickets to the game and the return fixture between the two sides at the Etihad Stadium. He signed autographs and answered supporters’ questions throughout the day – and tipped Barcelona’s MSN forward line to prove too much for City, as they did on a thrilling night of UCL action at Camp Nou.